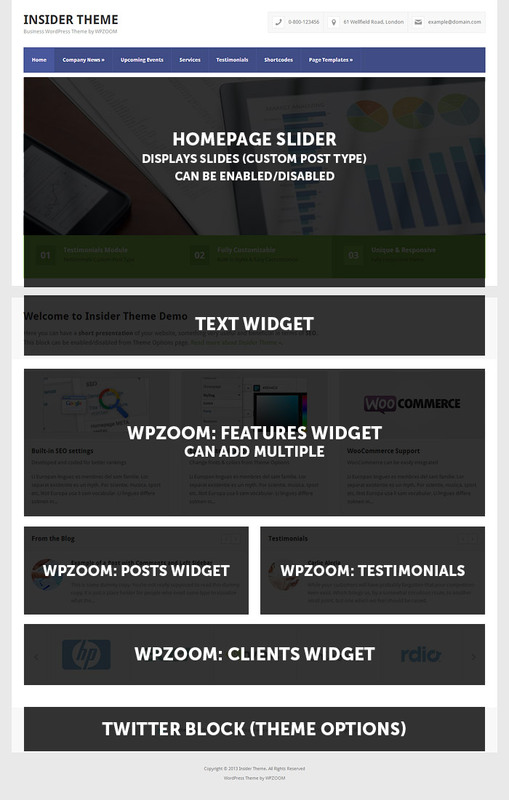 Go to WPZOOM -> Theme Options -> Homepage -> and change additional options for the slider. 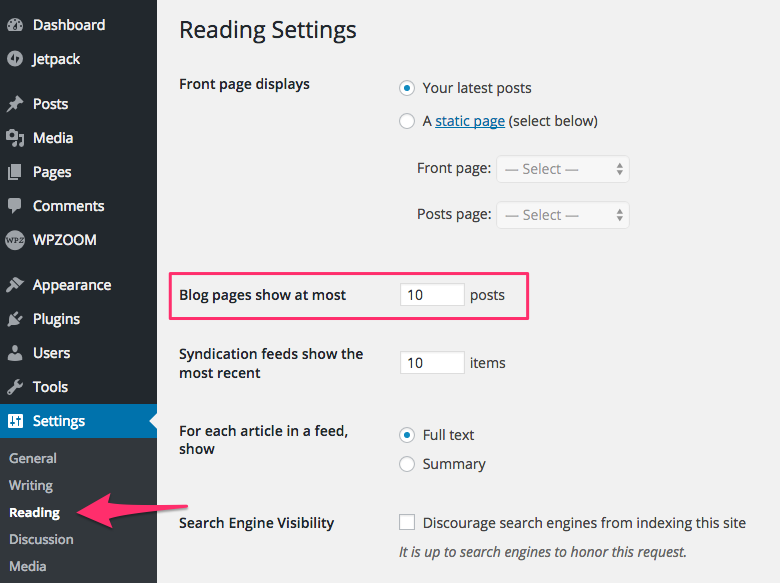 Don’t forget to upload a featured image for your slides. Insider theme has built-in support for the popular e-commerce plugin WooCommerce. 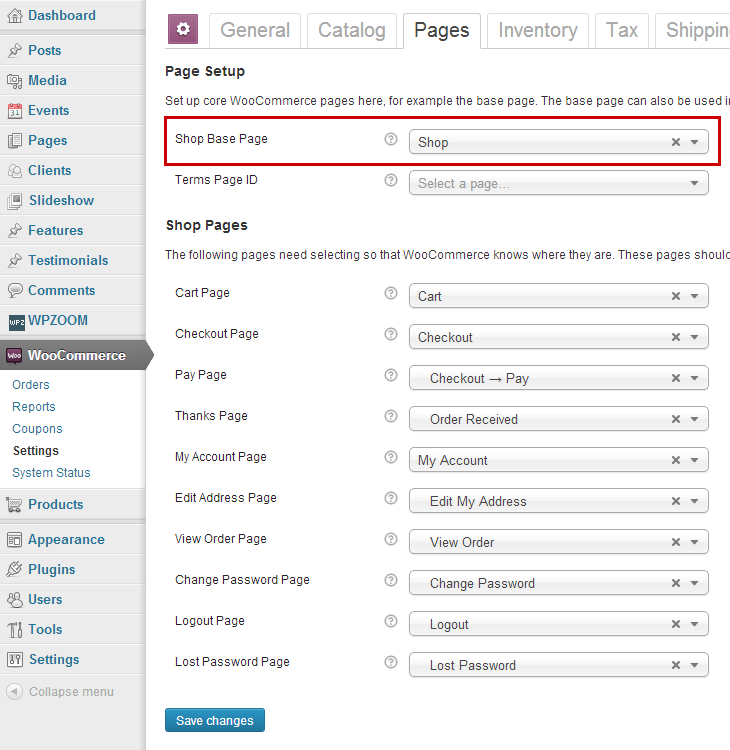 WooCommerce will automatically create its required pages, but you will need to create the main (base) shop page, such as this page on our live demo. 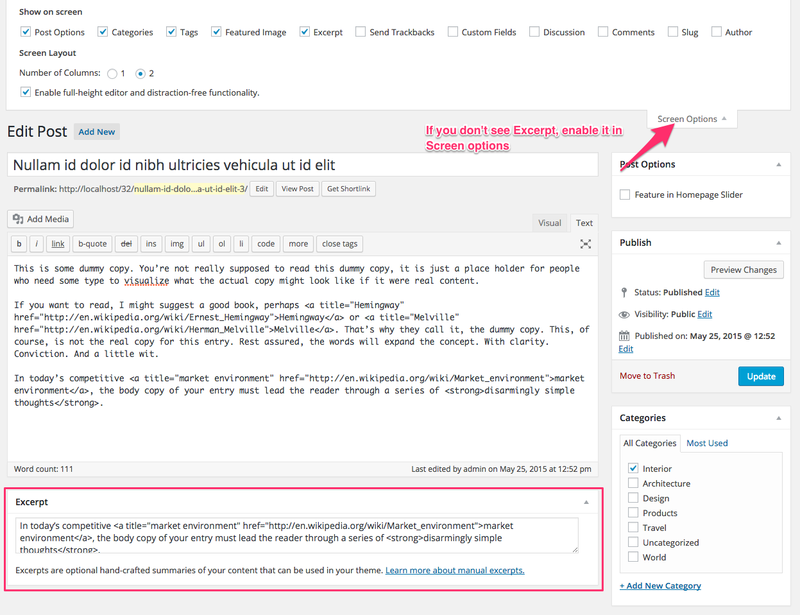 Create a new page using the Default Page Template, no need to add content to it, just the title. Then go to Dashboard > WooCommerce > Settings > Pages and set this newly created page as your Shop Base page, as highlighted in the screen-shot below.